Carolyn J. Carroll, 77, of Bradley, IL, died on Saturday, December 1, 2018, at the Presence St. Mary’s Hospital in Kankakee, IL. She was born on March 16, 1941, in Momence, IL, the daughter of Henry and Theresa Scorch Carroll. She is survived by one sister; Eunice Mansberger of Grant Park, IL. Three nephews; Clyde Mansberger, Jr., of Grant Park, IL, Steven Mansberger of Grant Park, IL, and Kevin and Vicki Mansberger of Bourbonnais, IL. One niece; Connie and John Konisky of Tampa, FL. She is also survived by many nieces and nephews. She was preceded in death by her parents and five sisters. 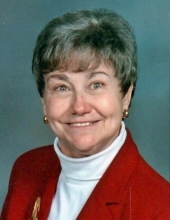 She was a retired Jr. High school teacher from the Kankakee School District for over thirty years. She was a member of the St. Joseph Catholic Church in Bradley, IL. She enjoyed going to operas, plays, and musicals in Chicago, IL. To send flowers or a remembrance gift to the family of Carolyn J. Carroll, please visit our Tribute Store. Rev. Dan Hessling will officiate. "Email Address" would like to share the life celebration of Carolyn J. Carroll. Click on the "link" to go to share a favorite memory or leave a condolence message for the family.